A photo of two peculiar dragon-shaped objects taken from a plane flying over Tibet’s Himalayas piqued many users’ interest when displayed on a Chinese website. The photographer is an amateur. On June 22, 2004, the photographer went to Tibet’s Amdo region to attend the Qinghai-to-Xizang Railroad laying ceremony, and then took a plane from Lhasa to fly back inland. 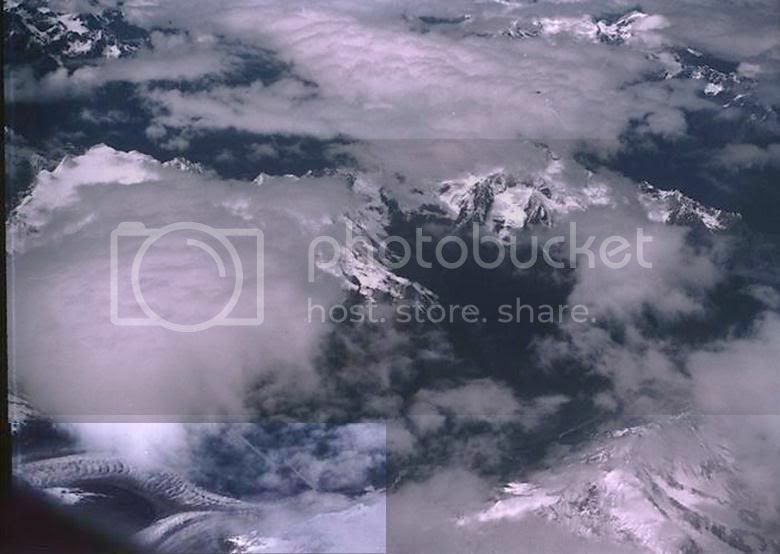 When flying over the Himalayas, he accidentally caught these two "dragons" in a picture that he took. He called these two objects "the Tibet dragons." Although I enjoy stories like this, I am quite skeptical of this one. In the digital age, photo editing is not hard to do. Secondly, I think if some flesh and blood flying dinosaur still existed in Tibet that the Chinese would have already captured one and put it in their zoo in Beijing and would have showcased it for the 2008 olympics. Also, I think I would have heard about more about dragons if they frequented the region, since I'm always reading books about Tibet. D.R. There are many stories about zombies in Tibetan history. Do people still encounter them nowadays? H.H. I don’t think there have been any instances recently (laughs). However, when I was visiting in Ladakh earlier this year I noticed that the door frames were very low and wherever you went your head was always hitting the frame. They told me that this was because there used to be a great many zombies in Ladakh and zombies are not supposed to bend. The height of the doors was therefore to stop them getting anywhere! One does not find such stories nowadays, however. D.R. Have you met any zombies? H.H. No. 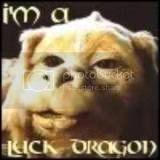 However, I have seen a dragon, and I mentioned this in my autobiography. Nearly 20 years ago, when we were celebrating Tibetan New Year in Purwala, it was raining and lightning. Some parts of the sky were blue. Suddenly there was a big thunderclap and as the place where the clear sky met with the clouds we saw a long tail the colour of dark clouds shaped just like the tail of a dragon. As we heard the thunderclap the tail shook and disappeared into the clouds. of course they are dragons! It looks like cloud formations to me. NinjaPuppy wrote: It looks like cloud formations to me. I don't see a think but clouds in the top pic (too dark) but the bottom one, you can see a scaly back & neck of something serpentine. I tried to create a highlighted view in the photos so they are easier to see, hope this helps. IF the Chinese (and other governments) in the region of these mountains & Tibet itself knew of such critters, they may not have tried to capture them for several reasons, the biggest being the traditions and legends of their people when it comes to the dragon and desire to simply let them be so long as they aren't setting fire to farms and demanding virgin sacrifices. Then too, how could they place such a huge animal in a zoo-type environment and keep it healthy (vibrant)? They obviously require a great deal of territory in order to thrive, so containing them would probably prove outrageously expensive not to mention, an engineering nightmare when it comes to some sort of habitat to place them in. The final side to the situation is that capture would quite likely lead to destruction of at least one of the two e.g. we are destroying a (probable) mated pair and in dissecting the one (which they will want to do) they may very well be putting an end to an already "rare" species. You think the tail shape was made by clouds? I thought it was just land which had been tilled or excavated with a machine. I really wonder about this because there are lots of version of dragons, other versions are like giant dinosaurs with wings others are snake like creature like the ones on china and on the movie mulan. Does this mean that the real image of dragons are the chinese version? I'm 27. I'm male and I love MAGIC! There is a wonderful video series made for Animal Planet & the Science Channel entitled DRAGONS: Fantasy Made Real that is awesome and explains the evolution of Dragons; where they started, why you end up with so many "styles" or "breeds" of Dragon, etc. If you like this kind of stuff you'll love that docudrama. I don't believe that,i don't think that there can be dragons in the world,nor can there be in Tibet.just think,if Tibet really exists dragons,how can people live there peacefully?and if that is real,i don't how many people will cancel their [Poorly done spam link deleted by Moderator] Tibet Tour,and that will be a great loss for Tibet! Kevinfeng wrote: I don't believe that,i don't think that there can be dragons in the world,nor can there be in Tibet.just think,if Tibet really exists dragons,how can people live there peacefully?and if that is real,i don't how many people will cancel their [spam link here] and that will be a great loss for Tibet! "sigh" I so hate it when spam fails like this. haha. I can just see the headline: Tibet tour cancelled under threat of dragon. State of Emergency declared. Wait, aren't those mountains from Skyrim? Yep, I knew it. Next time you see a dragon, aim for its knee! It's actually not clouds, and it's not a dragon. It's glacial flows. Start living in reality people haha.